At this morning's citizen access time, there was an appearance by Shireene Hale, former head planner in charge of our CAOs, and David Dehlendorf, current head of the San Juan County Democratic Party and persistent supporter of Shireene Hale. You can watch their appearances on video at this link. Now, before we talk about the Hale/Dehlendorf appearances of today, let's walk down memory lane for a moment. When heading up the CAO effort, Hale frequently claimed that the public intimidated her. She referred to some of our CAO public participation meetings as "awful". She even asked sheriff's deputies to show up at public meetings. When a former Planning Commissioner jokingly suggested that she might want to take a "sick day" as a means of avoiding one potentially contentious meeting, Hale accused him of (wait for it) ... intimidation. She also accused a former County Commissioner of intimidation, because of comments he made during a CAO meeting. The County didn't abandon the "intimidation" angle after Hale left. It was adopted by Gibboney and Mike Thomas in their recent efforts to dump former Building Head John Geniuch. When contractors and other islanders supported Geniuch, the County claimed an angry mob was being organized (yes, Gibboney really did use the words "angry mob" in an administrative law hearing ... but the judge was not persuaded). Gibboney and Thomas took the "intimidation" melodrama so far as to send out an email instructing employees to call the sheriff if John Geniuch was seen on County property. Okay ... now for the events of today. Hale shows up at citizen access time this morning and says that Pamela Morais (our local County Catbert) and Mike Thomas intimidated her prior to yesterday's public access time. Hale said they pressured her into withholding comments about Portland Fair. Dehlendorf then followed Hale's comments by calling for Mike Thomas to be reprimanded ... even resign, for intimidating a private citizen into silence. 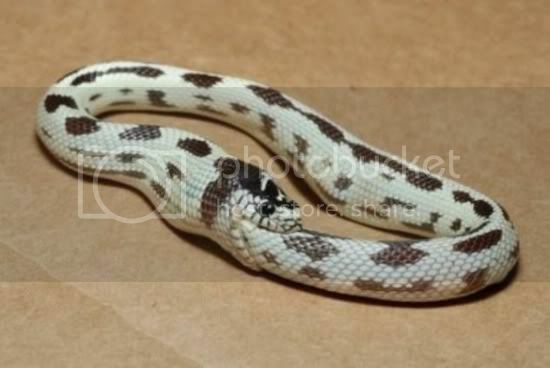 Ever seen that picture of a snake eating itself? Shreene Hale, the woman who invented intimidation as public-participation kryptonite used it in her public comments to accuse her former employer of intimidation tactics that she used when she worked there ... which aforementioned tactics said employer still uses against employees and the public (e.g., Shireene presently). The ever-composed Mike Thomas, who is accustomed to helping people invent intimidation stories rather than be on the receiving end, found himself out-maneuvered ... caught off-guard. After Dehlendorf finished, Thomas asked to make some comments himself. It stings to be out-smarted by Hale, and it showed in Thomas' comportment. Thomas said he was offended by the public access comments (although he didn't say they were untrue). In upcoming posts, we'll explore the codependent relationship that has developed between the Council and Mike Thomas. It seems wherever Mike Thomas goes, allegations of misconduct follow. Mike Thomas has now been accused publicly of intimidating private citizens. The Prosecuting Attorney found that he violated County policies and procedures. This, along with other allegations, would appear to violate the County's employment contract with Thomas. Manager has the duty to "comply with all lawful governing body directives, state and federal law, Employer policies, rules and ordinances. ..." See County Manager Employment Agreement and San Juan County Charter Section 4.40 and 4.41. The IGA Report mentions similar obligations of employees in the Personnel Rules Section 15, but the Personnel Rules (which have not been updated since the adoption of the Charter in 2005 or Charter Amendments in 2012) were not written to apply to management level employees and do not apply to the County Manager. See Section 1.010 and Chapter 4 of the 1992 Personnel Rules. No rules apply to him. This is why Mike Thomas can approve (or disapprove) any wetland study ... or anything else for that matter. He can do whatever he wants, and the Council (and the PA too) have backed him. The dynamic that has emerged within the employment ranks of San Juan County is that if you are loyal to Mike Thomas, your job is safe. If you aren't, you will be eliminated. Looks like Gibboney is safe. Friends Board Member Armors Shoreline? That Hole Is Getting Deeper! OPALCO -- Part Of A Pattern?